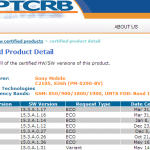 Mysterious Xperia L 15.3.A.1.12 firmware which was certified by PTCRB a week ago and who open source was uploaded on Sony’s site a few days back is rolling now. 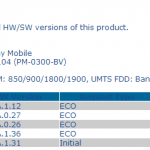 At present Xperia L is on android 4.2.2 15.3.A.0.26 firmware which also saw 15.3.A.0.27 firmware getting certified but never rolled. 15.3.A.1.12 firmware keeps Xperia L C2105 and C2104 on android 4.2.2 only and is a major update, already confirmed in Malaysia, Pakistan, Germany and is available over PC Companion and SUS for now, no OTA seen yet. It is of almost 650MB in size. 15.3.A.1.12 firmware is seeding now it may not be available for all regions at the same time. No update in India seen yet. 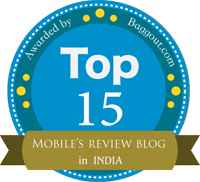 XperiaL 15.3.A.1.14 firmware certified – Minor Bug Fixing Update – Proximity Senor bug, Touch Screen Unresponsive bug prevailing now. 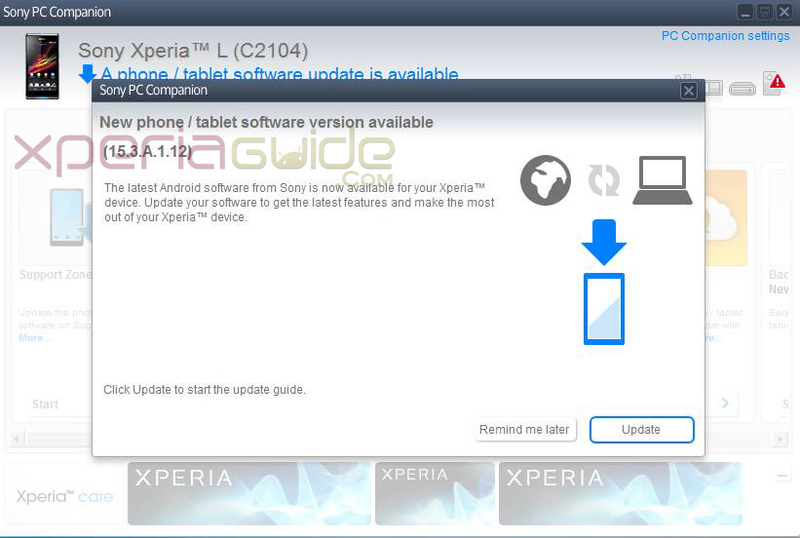 Connect your Xperia L to PC Companion and look for a notification as shown below and proceed as per on screen instructions. 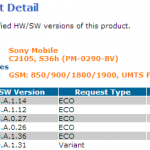 Check for software info details of Xperia L 15.3.A.1.12 Firmware Update. Touch screen more responsive now. 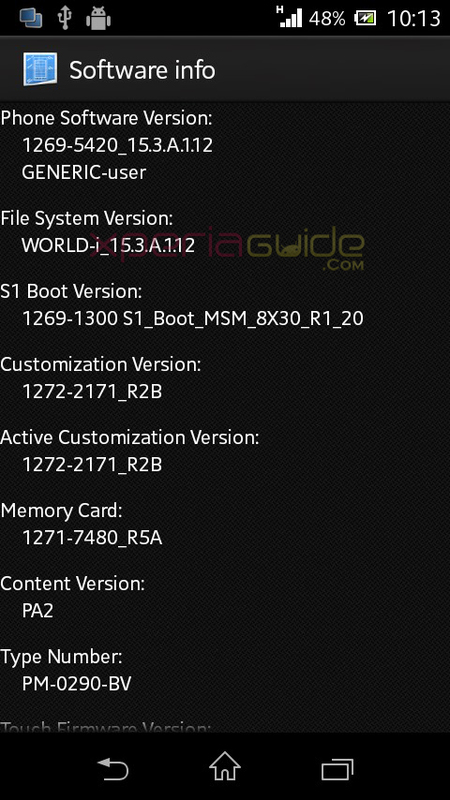 More Smoothness in overall ROM. All Sony Media apps are updated to latest version. For all users who have not got the notification yet, we will soon post the 15.3.A.1.12 firmware ftf links. 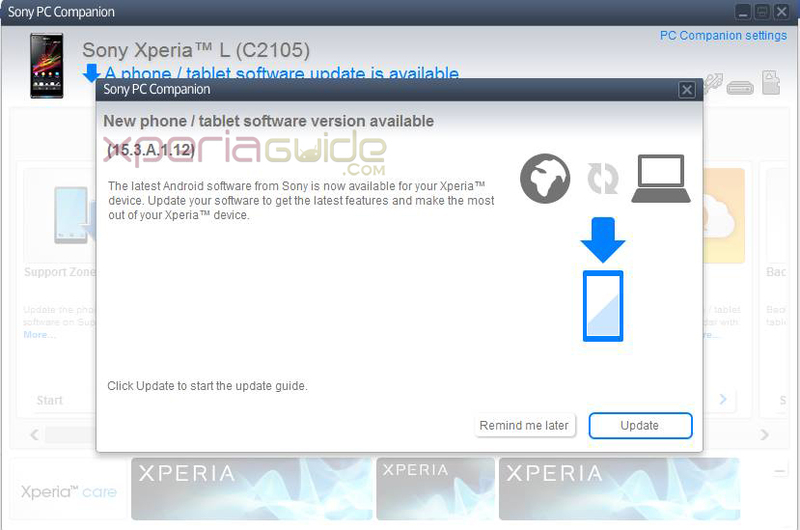 If you have updated to 15.3.A.1.12 firmware already do let us know what major changes you noticed. Is camera bug fixed for you ? Drop your comments below on your review for 15.3.A.1.12 firmware update. What bugs you are facing after updating to it. may I see pictures from the camera?? You again are commenting for same 😛 No one knows it. XT XC XTX surely after 1st week of Jan 2014…XSP God knows can come anytime. 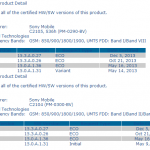 Xperia T and Xperia V Android 4.3 9.2.A.0.276 firmware Certified – Not certified for Xperia TX yet. Camera improved a bit only ( will upload pics in a few hours ). Battery need to test. Waiting FTF file. Can you upload. just updating and it still looks like crap. nothing much has changed. my homescreen walkman widget still constanly reflash and many of my small apps like notes, calculator have all disappear after update. what does “_DE” means in the file name for download? does it mean “Deodex” ? so what is that? you know this a kind of important . does it support ” Persian or Farsi” language & keyboard ? don’t know but it supports all international languages as which is available in general stock Sony keyboard…. 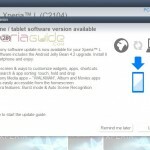 how to combine 2 parts in one..
OTA of new update15.3.A.1.12 has been released now. It is approximately 40.8 mb. Need to check the improvements on overall features. Does this update solve me the problem with build 15.3.A.0.26? 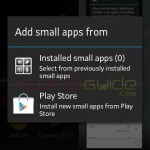 After this update installation of one application caused damage the phone. Not possible to turn-on/off, soft/hard factory reset, reinstall the firmware, … The phone is now in warranty service and I probably will get a new one. There was everything okay with the previous os version 4.1.2. Is it possible that installation of any app could cause problem like this? Hi, I have received the upload notification. But once tried,error prompt saying could not update.any idea?batt if full, but currently dont have ext.memory card inserted.is it the reason?guide highly appreciated. which was disappearance of widgets after rebooting. All my small apps are missing now is there a way to get them back without factory reset.